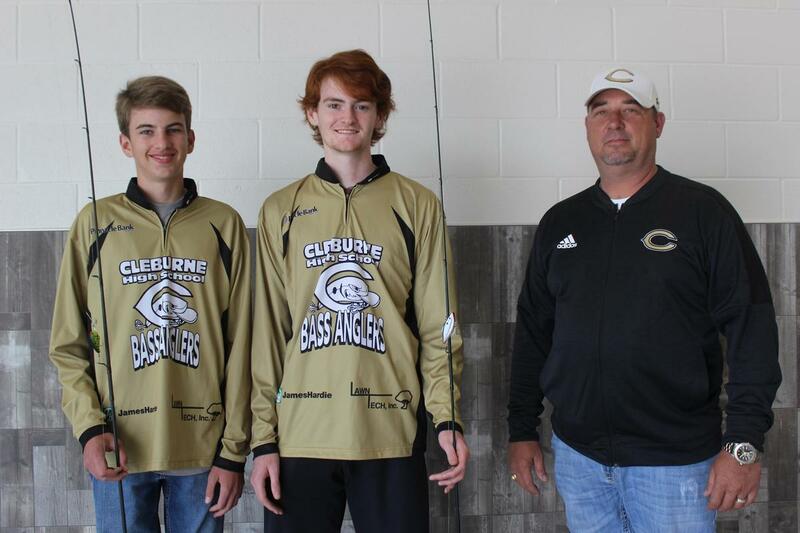 Two members of the Cleburne High School Bass Anglers Club have qualified for the Texas High School Bass Association Regional Tournament taking place Saturday at Lake Lewisville. Sophomores Grant King and Gavin Roberts are currently sitting in 21st place among 232 teams in the west Texas division. As a chapter, Cleburne is ranked 19th out of the 35 schools within their division. The team, as regional qualifiers, placed in the top 50 percent among participants in at least three of the five THSBA sanctioned tournaments in 2018-19. Cleburne’s fishing duo competed in all five season contests, highlighted by their fifth place win at the Lake Texoma Tournament, where their total catch weight, based on a maximum of five fish, was 6.56 pounds. While the rods and reels awarded to the top teams at each tournament are awesome, it’s the prize money in the form of scholarships that inspires the Jacket fishermen to make each cast count. Michael Griffith, faculty sponsor of the CHS Bass Anglers Club, is also excited about the opportunity to see his club members compete for the chance to win scholarships. Griffith is quick to point out that membership in the CHS Bass Anglers Club and affiliation with the THSBA goes beyond getting a fish on the line. King began fishing at an early age, while Roberts made his first cast in the eighth grade. For both anglers, fishing is a family affair. Griffith also credits much of the success of Cleburne’s regional qualifiers to Grant’s father. Robert King has accompanied the team to every contest, in his role of “captain,” and provided a boat that meets tournament requirements: 16 feet or longer with a 40 horsepower engine. 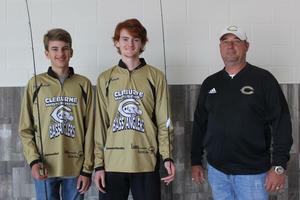 A group of community sponsors has also lent their support to the CHS Bass Anglers Club, including Pinnacle Bank, James Hardie and Lawn Tech, which provided the underwriting for the jerseys worn by members at their tournaments. Assistance with tournament fees has also been a big help. A $60 entry fee is required for each contest, on top of an annual membership fee. The addition of competitive fishing to their list of school activities has made King and Roberts two-sport athletes. King was in district competition this week as a member of the varsity golf team. Roberts competes for the Jackets in basketball. They also excel in the classroom. Other than that, they are out fishing, according to Roberts. While they may be classified as newcomers to high school sport fishing, the two-man team already have some tournament stories to tell, from fishing in the extreme cold and rain--to the one that got away. Griffith, who is an avid fisherman, says the Cleburne team, and their fellow competitors, are always one seven to eight-pound bass away from winning a tournament, including the regional event, which will advance them to state. 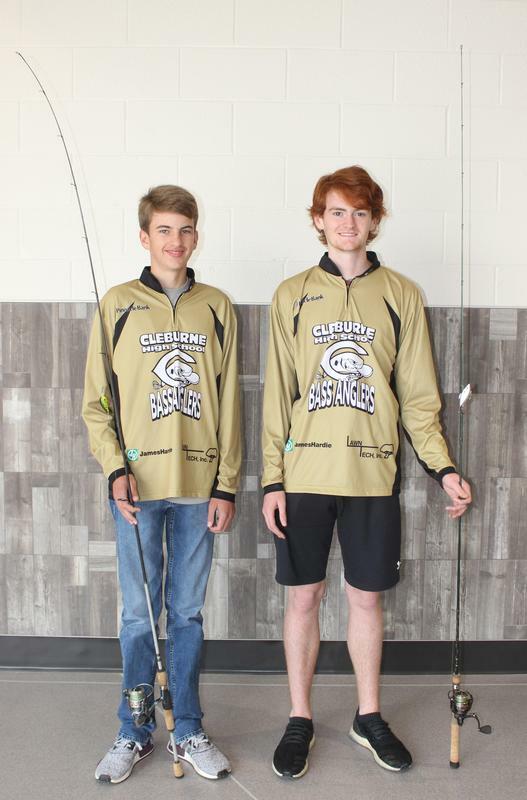 Sophomores Grant King and Gavin Roberts, members of the Cleburne High School Bass Anglers Club, will be among the teams competing at Saturday’s Texas High School Bass Association Regional Tournament at Lake Lewisville. They are pictured with faculty sponsor Michael Griffith.